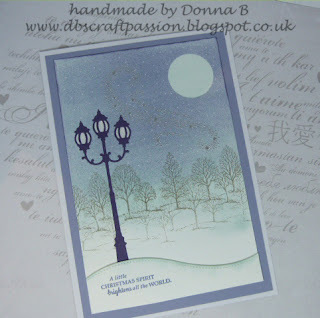 Well tonight I decided I would try some background blending, I have wanted to try out the Brightly Lit Christmas stamps and dies and though they would look lovely in some none traditional colours. I started by picking out the blues and then thought they would look better in Wisteria Wonder, one of my favorite colours, but I needed to add a darker colour for the lamp and didn't want black. 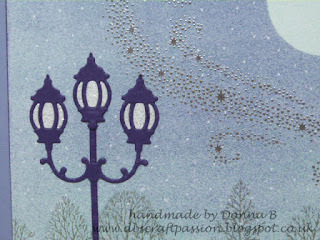 I used the Elegant Eggplant to die cut the lamp and then cut it again in Glimmer paper. It was a bit of a struggle getting those little pieces in but after a lot of cursing I managed it. Think if I was to do this again I would just ink behind the lamps. I started the sky with Soft Sky and then put the mask for the moon as I didn't want it too bright before I started the Wisteria Wonder finally finishing the edges with Elegant Egg Plant. I stamped the Lovely as a Tree in Smoky Slate and then stamped off for the lighter trees in the front. 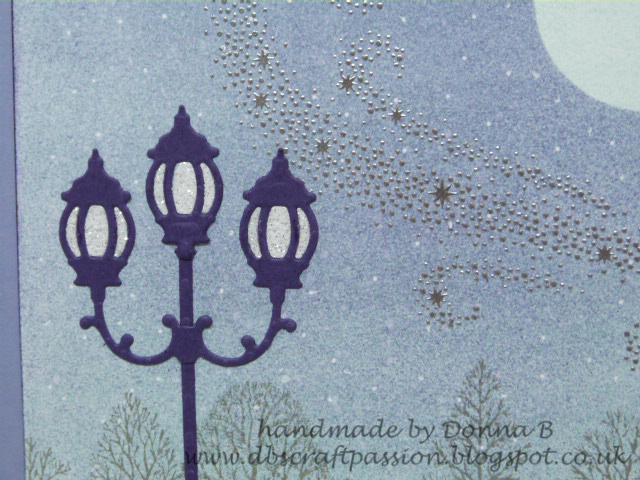 I used Versa Mark for the starry swirl from the Star of Light stamp set and then used one of the sentiments in the Wisteria. I did use a die from my stash for the hill in the front. 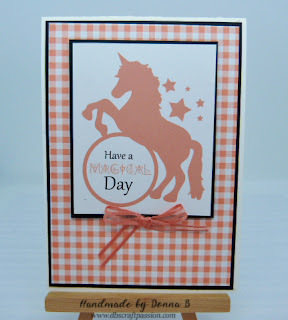 This is a larger card 7" x 5" and all in all I am very pleased with it. 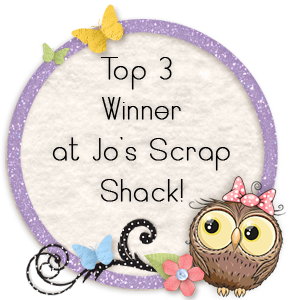 Thanks as always for looking, all the products used are available in my shop, either through my blog or Facebook page.